In the last 20 years, Harry Potter by JK Rowling captivates the heart of kids and adults where it brings them into the world of magic in Hogwarts. If you are a Harry Potter fan, you will undoubtedly explore the world of Harry Potter beyond the books and movies to include board games and other merchandise. Inevitably, kids will be enthralled with Mr Toys collectible items available online and in stores near you. So, if you are looking for the perfect store for your collection, you should dash to Mr Toys store or shop online. 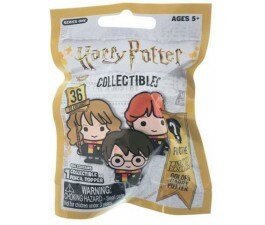 Mr Toys Harry Potter collectibles come in wide range. It includes toys, costumes, bag and more. Also available in plush, board games, wands, glasses, cards, pop vinyl and trivia. The collectibles are all high in quality and will fulfil your expectations. Collect them all today! Check it out at Mr Toys Toysworld. We deliver directly to your doorstep Australia Wide. Shop Online now!